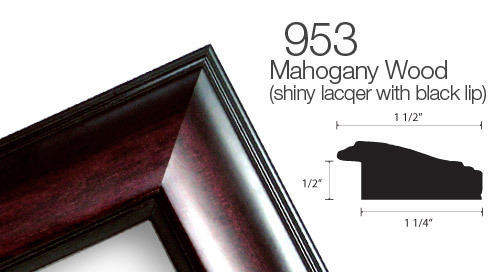 #953 Lacquered Mahogany with Black Accent - 1 1/2" Wide. Minimum order of 5 required. Minimum order of 5 required.